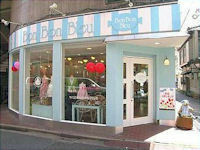 "BonBon-Bleu"is a boutique for children, located on Aoyama st., Omotosando area since 1981. It's a selected shop which has many brands. We do Tax-free. Size from 50cm(New born baby) to 170cm(18 years old), for boys and girls.